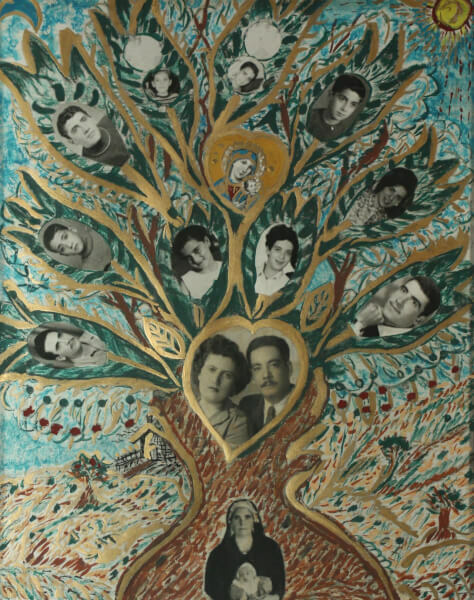 Handpainted family tree for th Haddad family, displayed at the Arab National Museum in Dearborn, Michigan. AANM presents a series of events and offers to mark the month, including free admission for all walk-in visitors (offer does not include ticketed events). The Museum is also proud to announce the April publication of new lesson plans for elementary, middle and high school educators, as well as a fascinating new booklet designed for a general audience. Arab Americans: History, Culture & Contributions, written by Randa Kayyaliwith AANM, is available for $9.95 in hard copy at The AANM Store (during regular Museum hours or online and free to view and download online. The booklet and lesson plans were made possible in part with funding from the Institute of Museum and Library Services, an independent federal agency that provides library grants, museum grants, policy development and research. THIS POST HAS BEEN READ 20154 TIMES SO FAR. THANK YOU!